Some 110,000 entrepreneurs are hidden behind the name ‘UNIZO‘. Each and every one of them serves entrepreneurs and entrepreneurship. A solid team. 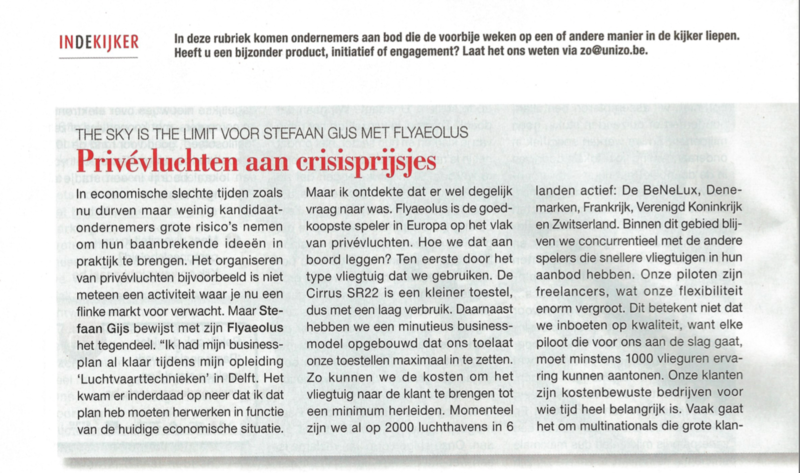 Unizo is the largest entrepreneurs’ organization in Flanders and Brussels, they jump into the breach where necessary. They are also the voice of the entrepreneur in Belgium and steps up to policymakers or ventilates its opinion in the newspaper, TV or radio. With their magazine they would like to introduce new products to other entrepreneurs. This was the main reason why Fly Aeolus was requested to give an interview. 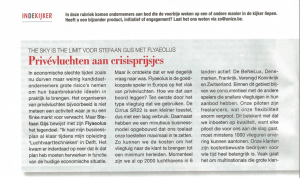 The interview has been published in the Belgian business magazine for the independant entrepreneur. Check also our blog about successful entrepreneurs that know time is their most valuable asset.